This week’s Fantasy Hockey Waiver Wire includes a number of players putting up the points that are left off the majority of rosters, with some notable contributions from a couple of players playing in their first NHL season. LW Andreas Johnsson, TOR (45%): The rookie has really compounded the points lately, notching eight of them in his past five games. Granted, four of them came via a 6-1 routing of the Ducks, but it shows he has the offensive upside nonetheless. 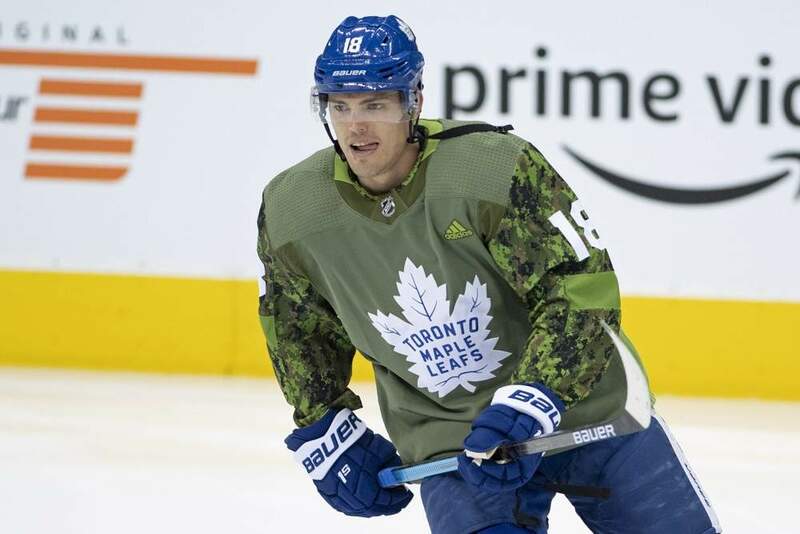 He’s playing with Nazem Kadri and William Nylander on the Leafs third line. He’s in a great opportunity to continue his success for as long as he stays on that line. He’s up to 30 points in 50 games, which puts him third in the Calder Trophy race, while his 14 goals rank second for goals by a rookie. LW Danton Heinen, BOS (33%): Heinen has suffered through the dreaded sophomore slump, sitting at 19 points, despite reaching 47 points in his rookie campaign. His average ice time is down from 15:01 to 13:18, and recently found himself in the press box as a healthy scratch. However, that lit a fire under him, as he has six points in four games since returning to the lineup. It also helps that he’s playing on the top line with Patrice Bergeron and Brad Marchand, as their regular linemate David Pastrnak is out with a thumb injury. Heinen has tremendous upside as long as he’s on that top line – pick him up and benefit from his newfound opportunity. RW Dominik Kahun, CHI (26%): After breaking out with seven points in his first 10 NHL games, Kahun really cooled off, and fell off the radar for many. That is until recently, when he was put on a line with Alex DeBrincat and Dylan Strome, and found chemistry. He has nine points in his past five contests, and is a must to pick up as it’s likely the other two members of his line are already taken. He has 29 points in 57 games, putting him fourth on the rookie scoring list. C Nick Cousins, ARZ (8%): If you’re in need of a depth pickup, Cousins could fit the bill. He has seven points in his last five games, and has worked his way into a larger role with the team. His average ice time is 13:36 per game, but is playing 18 minutes or more in recent games. Nick Schmaltz is out for the year with an upper body injury, so Cousins has stepped in to the second line center role and taken full advantage. D Travis Sanheim, PHI (33%): The 22-year-old defender has been showing some of the upside that lead to becoming a first round draft selection in 2014. He has six points in his past seven games, including an overtime game-winning goal. He has 21 points in 57 games, already doubling last year’s 10 point output. With how the Flyers are trending, getting a defender who is contributing on the scoresheet isn’t a bad idea. D Mike Matheson, FLA (28%): The defenseman has three points in his past four games, including a power-play assist and a game-winning goal. 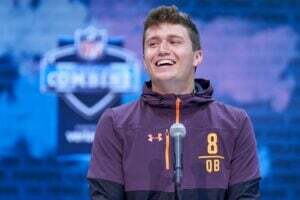 He has shown his offensive potential in spurts this year, and could make for a nice under the radar pickup should he get it together for a significant stretch. He has 20 points through 53 games this year, and could surpass last year’s career-best 27 points. D Jordan Oesterle, ARZ (19%): His ownership has increased from last week’s 13%, but it needs to be higher. He’s in the midst of a five-game point streak, where he’s tallied two goals and four helpers. Shortly before that he posted a seven-game streak collecting another six points. He’s been the Coyotes most productive defenseman, which includes Oliver Ekman-Larsson. Oesterle has six goals and 19 points in 47 games. At this point it’s looking more and more like he’s a real talent, and not an aberration. G Collin Delia, CHI (35%): The 24-year-old youngster continues to impress between the pipes. He’s won three of his past four starts, and sports a 6-3-3 record on the campaign. The Blackhawks have climbed into the playoff picture in part due to Delia’s efforts. He makes for a quality third string option on your squad. G Anton Khudobin, DAL (34%): With starter Ben Bishop on injured reserve with an undisclosed injury, that’s left Khudobin to patrol the crease in his absence. Khudobin has gone 2-1-1 in his last four outings, including a shutout victory over the Panthers in his most recent affair. The Stars are playing more to their potential, and as long as Bishop remains out, picking up Khudobin makes for a good short term solution, seeing that he has a 2.34 GAA and .927 save percentage on the year. Did you find Brandon’s Fantasy Hockey Waiver Wire helpful? 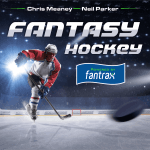 For more great stuff on the fantasy ice check out our full slate of NHL content.